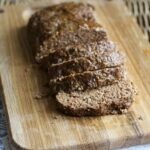 While I have a favorite meatloaf recipe that I make all the time, this Quaker Oats meatloaf is a quicker alternative. This is the recipe that appeared on the back of the Quaker Oats oatmeal container many years ago. 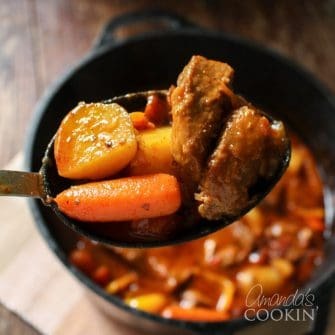 They still have the recipe on their site, however it has been changed from the original in that they have lowered the salt and used reduced fat ground beef to lower the calories as well. Meatloaf has always been one of the best ground beef dinner ideas around! If you loved the original, this is the one for you. This recipe does not include the ketchup glaze, as it’s not something I enjoy, but you can certainly add one if you like. I don’t have a recipe for the glaze because I don’t make one. I prefer eating my meatloaf with a brown gravy and mashed potatoes. This is also great the next day on sandwiches with mayonnaise. Mmmmm. Note that I process the oats in a food processor. This isn’t necessary if you don’t want to, but I prefer not to answer questions like “What’s that?” when a teenager points to an oat in his dinner. 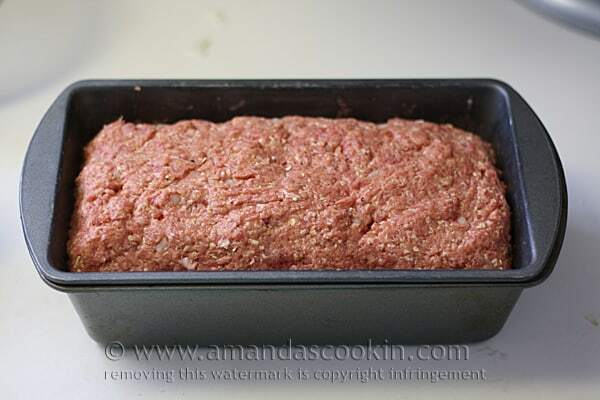 TIP: For many years I have used a 2 Piece Nonstick Meatloaf Bread Pan Set (Amazon affiliate link) for my meatloaf. Mine is pretty beat up as you can see, it’s made many a meatloaf in its lifetime! 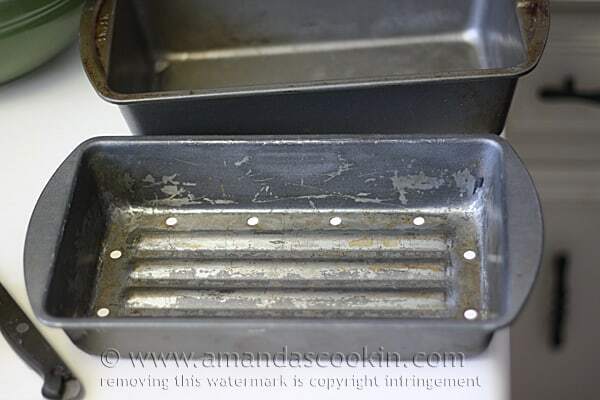 The upper pan holds the meatloaf and the fat drips through the holes, separating the greasy fat from the meat. I love it and swear by it! 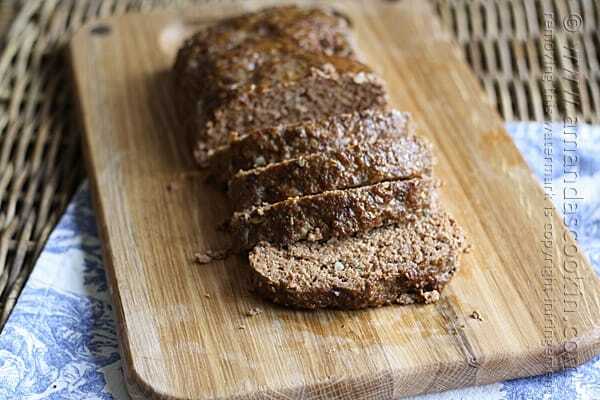 Get the recipe for Prize-Winning Meatloaf from Recipe Lion. Run the dry oats through a food processor to break them up. In a large bowl, combine oats, ground beef, tomato juice, egg, onion, salt and pepper, and mix well with a fork. Press firmly into ungreased 4 x 8 inch loaf pan. Bake for one hour. Let stand five minutes before slicing. This is how I make my meatloaf except add 1/4 cup of bellpepper and sub the tomato juice for a cup of Kraft original BBQ sauce. 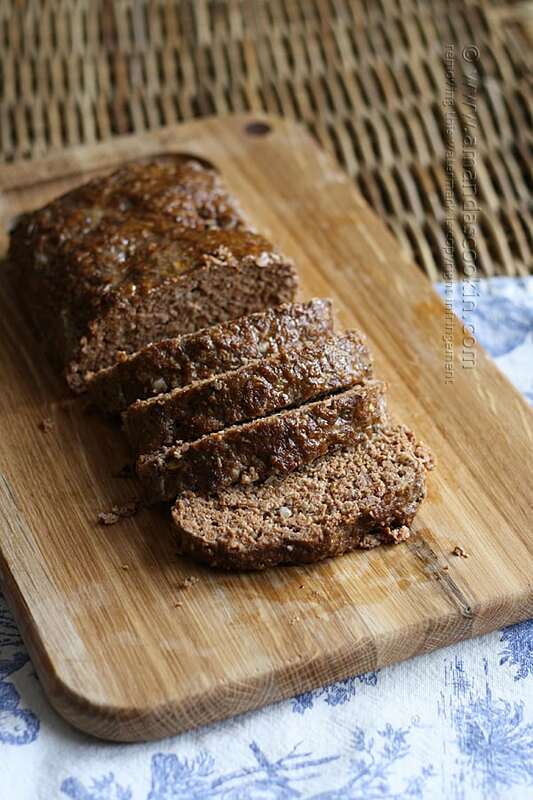 Sounds horrid, I know – but it makes delicious meatloaf! Thanks so much for the feature Emily! I’ve never had a meatloaf with oats! Sounds like an awesome meal. This is what I grew up on in the early 50’s, in NYC. It was one of the first things my grandmother taught me how to make when I was about 7. We ground our own meat, it was cheaper. Nana taught me how to blend the meat, seasoning, onions and oat meal, in the old hand grinder. We used catsup instead of tomato juice, it was cheaper. We were somewhat poor then. With some variations on a theme, I still make the same thing today. BTW, your pans look in great shape. I have 4 sets. It looks like they went through 4 different wars. My wife says it’s time for new ones. She likes the crust, but not if it includes rust. Bake at 400*. for an hour or so till cooked. Halfway through drain grease if needed and pour chilli ketchup on top. Just curious as to why you posted this recipe. To answer your question, I’ve been trying out several vintage recipes lately. I want to make sure I’m not missing something :) This particular recipe was good, but I like mine better. But mine is more work. So I can see why it stood the test of time.